Spot Loans exists is a very competitive, aggressive market. Most of the other providers have opted for almost identical approaches using slogans of ‘fast cash’, images of call-me girls and $100 bills. It is greed focused, down market and indistinguishable from each other. 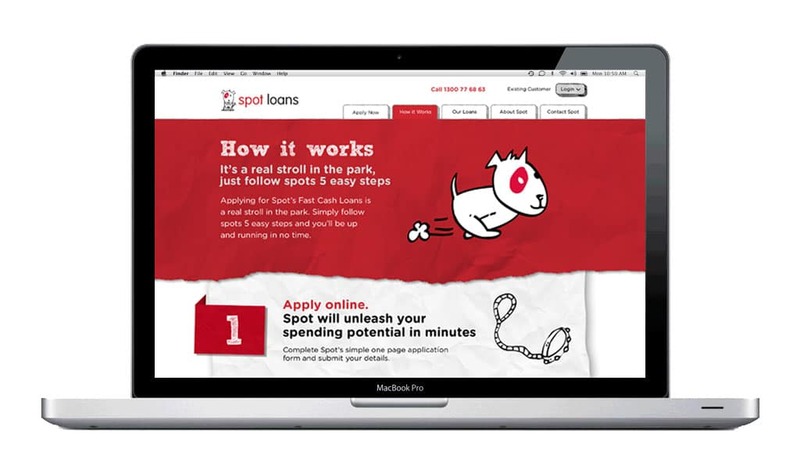 Spot Loans would not gain anything by being another me-too, and their potential market would see no point of difference to all other providers, meaning Spot Loans could only capture significant market share by large advertising expenditure or by offering lower rates, effectively cutting margins. Sin’s approach was to create a character around Spot, and in doing so we were one of the first to move away from the “cash, cash, cash” sales pitch in 2012. 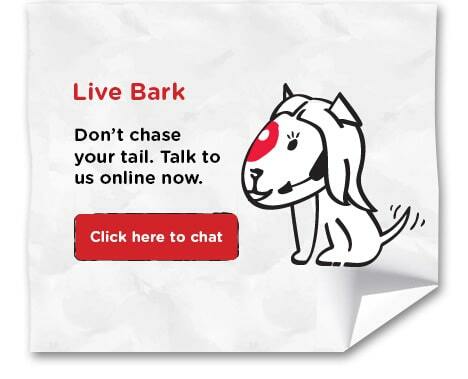 The Spot Loans dog gave us the opportunity to have some fun. A great cheeky verbal and visual language evolved, taking everyday finance concepts and ‘Spotting’ them to be memorable. Having fun with finance reduces the dogfighting. The traditional route to market for fast cash lenders is through the internet, a highly competitive and low yield channel with frequent form abandonment. 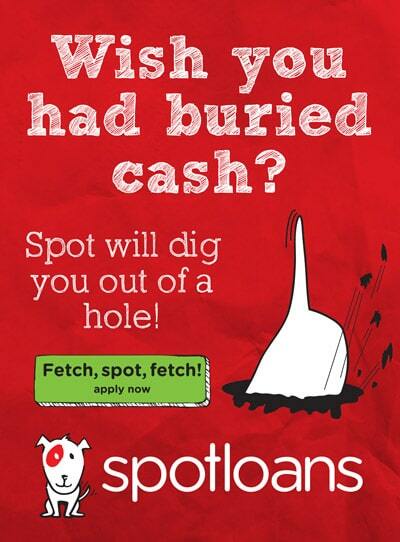 Rather than spend huge budgets on advertising, Spot Loans made the process fun and engaging. Positioning the brand away from the traditional payday lender marketing also removed the associated negative perception, expanding Spot Loans potential market to an audience that would normally hesitate to use a high interest lender due to the stigma attached. Every touchpoint created an opportunity to make customers happy, comfortable and talking about the brand.